Everybody wants their skin to look flawless if a person faces any burn he may develop scars on his skin. Dark scars are caused by deeper burns while light scars or no scars at all are caused by less deep burns. 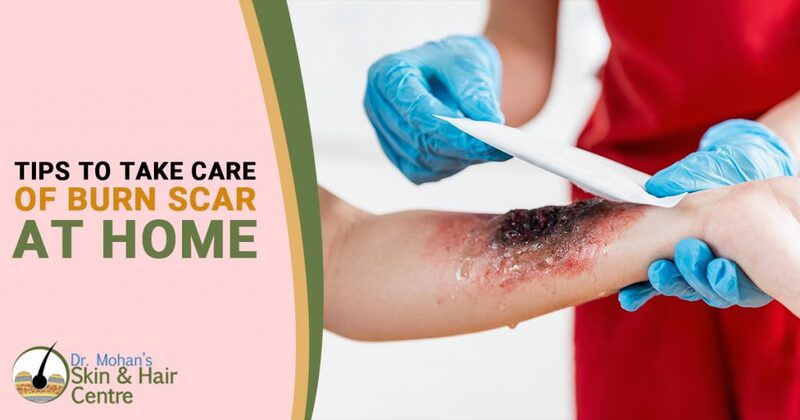 If a person gets any scar or burn on his skin it is necessary for the person to take good care of the scar otherwise the scar may leave a permanent mark on the skin. Below mentioned is the list of preventions a person must take to avoid the scars. If you give a proper massage to the area where the scar has been it will lead to a proper flow of blood to the area and hence lightening the scar. Chemical peeling of the skin is done by the dermatologist. It is necessary for the person who has got the scar to visit a dermatologist and get the Chemical peeling of the skin did from the area where the scar has been there. Sunscreen must be applied to the area where there is a scar if the person goes out in the sun. This is so because the harmful ultraviolet radiations of the sun give a black tone to the skin, and if the person goes out in the sun without sunscreen the scar will get the deeper black tone. Cryosurgery can be opted by the person from the dermatologist. This surgery is done by the use of liquid Nitrogen which helps in freezing the outer layer of the skin and peeling of the outer layer which has a scar on it. Vitamin C and food items rich in zinc must be taken by the person who has got the scar on his skin. This will help in building collagen around the vessels of the skin and hence enriching the skin. Broccoli, potatoes and other citrus fruits must be taken to enrich the supply of vitamin C in the body. Brazil nuts, peanuts, and leaf bean must be taken to enrich the supply of zinc in the body. By adopting the above-mentioned steps the person can naturally Treat The burn scar on his skin, this would either help in reducing the black tone of the scar or will help the scar to diminish.